If you ask me what is the purpose of mutual funds? I would simply answer you to that in a simple language. Mutual fund is one of the best options available to small retail investors only to diversify their investment and earn superior returns. Below are the top 10 benefits you get upon investing in mutual funds. Have a look and get inspired. You cannot be the jack of all trade and hence there is no harm in leaving certain things with professionals. Fund managers are a group of highly qualified and experienced professional whose job is to read the market closely and speak with the company management on a regular basis. They understand the economic and sector indicators better and thus help you in smart investment decision making. There is a thing with retail investors. They tend to buy only when market has already gone up and never sell anything when market is going down. They regret for not buying stocks at low price or selling shares when price was high. Through mutual funds investors can invest without emotional attachments. This way you can invest systematically every month/ fortnight / week. All you need is to choose the Systematic Investment Plan (SIP). What happens in here is a fixed amount will be invested in selected schemes so that you do not lose the market upward movement. Asset Allocation is primarily based on your goals, horizon and risk appetite. They help you distribute your money in various asset classes. You are allowed to diversify your risks across assets, industries and companies. To make it simpler, let me give you an example. If you invest Rs 10000 in Infosys shares, it directly implies that you are taking risk on the company’s performance. If you have a positive vibe from the IT sector, you can diversify your risk by investing in IT sector fund or a diversified mutual fund as well. Through mutual fund you can also invest in products like High value government bonds, corporate bonds, commercial papers and so on irrespective of being a small retail investor. Whenever you buy or sell shares, you need to pay a certain amount to the broker and some more as DMAT charges. In case of gold, you need to pay VAT. The good news about mutual fund is there are no extra charges applicable. You only have a fund management charge that may range from 0.5-2.5% (adjusted in NAV). This will cover your administrative costs, salaries & expenses. Investment in mutual funds is fresh. This means you can sell the fund units on any business day and get your money credited in your account within 1-2 business days. 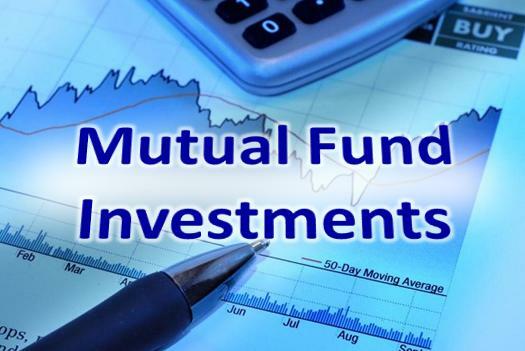 Mutual funds are affordable as you are allowed to invest starting from a very small amount. Say for example, if you just want to invest Rs 2000 in Infosys, you will get only one share, but if you invest the same in mutual fund, you can easily take exposure to multiple companies and sectors. Investment in Mutual Funds is tax efficient whereas dividends received from Mutual funds are tax free too. When you opt for a certain non-equity fund, a dividend distribution tax is normally paid by Mutual fund out of the Investors money itself. When it comes to physical gold, you can claim for long term capital gain after 3 years. On the other hand, for Gold ETF / Savings fund, you can claim LTCG after the completion of 1 year. Mutual funds in India are strictly regulated by Securities and Exchange Board of India (SEBI) with certain criteria on the bay. SEBI is a body of trustees looking after the investors’ interest whose money is being managed under different schemes. The parties involved include Sponsor Company, AMC, and Trustee.